How Long Do You Have Before Your House Being Repossessed? The amount of time it takes for you to lose your home in a repossession depends largely on how much you do to stop it. The actions you take and when you take them truly make quite a difference in how fast or slow your case can move through the legal system. Still, let’s also have a look at other factors that are somewhat beyond your control that also determine how fast you can lose your home. How do you know how much time you have until eviction day? How full is your court’s calendar? Consider how many similar cases your local court and lender already has on their plate to deal with. An excess of mortgage-defaulting cases can slow them down considerably, but they might be able to move much faster if repossessions are rarer at the moment. Has your lender done something illegal while filing for the repossession? If so, then you can document these actions for proof to use against them in court, which will also slow down the repossession process. We’ll come back to this point in a little bit after this section. Does the government or a large corporation have a vested interest in taking back your home for one of their expansion or renovation projects? In cases like these, they could try to expedite your case. Did you unexpectedly discover that your landlord or property owner went bankrupt and decided not to give you any warnings? Unfortunately, you may face repossession much sooner and may not be able to delay the process much. How much equity do you have in your home? If the house is worth much more than the amount you owe, then you can negotiate more. You could even sell the house yourself and profit from it rather than taking on more debt if you hang onto it for too long and end up owing more than the house is worth. Remember, you’re the one who has to keep paying off the difference if you don’t receive enough money from your home’s sale to pay off your debt. Even worse, that difference you still owe the bank after moving out will likely gain lots more interest too. How bad of a financial state is your lender or the general market in right now? During the housing crisis and rising unemployment rates during the 1990s in Britain, everyone was desperate for cash — even the lenders themselves. That was a big part of the reason why financial institutions were more eager to rush through home repossessions. If the market is stable, most lenders would rather not rush through filing for repossessions because they usually end up losing money; they’d rather you find a way to keep up your payments because that’s the faster solution for everyone involved. Luckily, it’s easier for you to halt a repossession than it is for your lender to jump through all the red tape they must cross to repossess your house. Time is more on your side than your think. Essentially, you can buy yourself up to eight months to get your finances in order if you can prove that you are technically “cooperating” with your lender to the best of your abilities. Most importantly, you have the legal right to receive a court appearance notice for a repossession case at least four to eight weeks before the hearing to prepare your case. 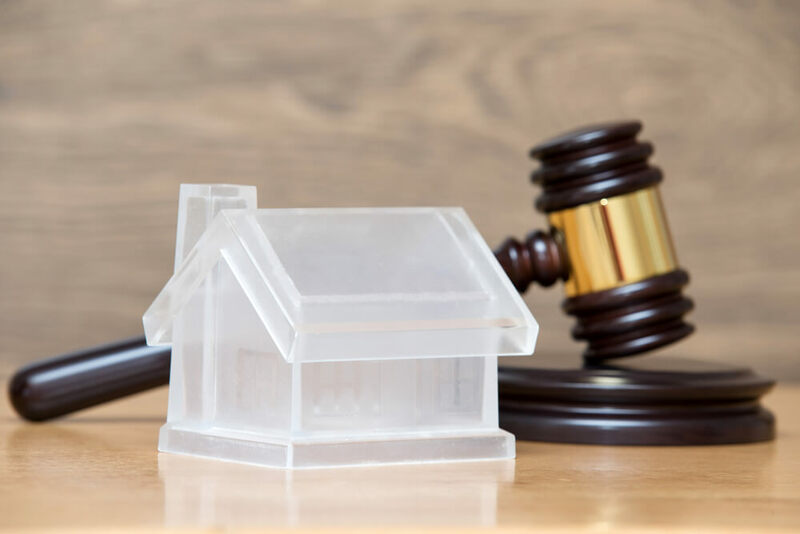 To see all the legal hurdles that your lender must jump through before they can repossess your home, review this comprehensive list from the Citizens Information Board. You have the right to appeal and maybe even overturn a repossession order if your mortgage financier failed to follow the proper protocols in the right time frame. Let’s break house repossession down into two-time lines to help you understand how long it can take from a realistic standpoint. The first case is one of the longest ones, which took one year. The second case is one of the fastest, taking just six months. In both cases, we’ve omitted the names of these people to respect their privacy. Case 1 in 2008 took 12 months: A couple called their mortgage company after they started going in arrears because they had to close their business due to losing some of their highest-paying clients. The couple talked to the lender about switching their agreement to interest-only payments or some other cheaper payment scheme. After completing a detailed report for their lender outlining their total income and financial status, they waited for the lender’s answer and continued negotiations for some time. However, the couple couldn’t afford to pay what the lender wanted, so their financier filed with the court for repossession. A couple of months later in the courtroom, the couple demonstrated that they were willing to pay some portion of their debts. They had six month’s worth of arrears and didn’t have enough income to pay the fees of £800 a month for the mortgage. They sought government aid and eventually received some housing benefit income to cover the rent in their new place after moving out. After the repossession was over, they still walked away with a negative equity that put them in debt by £40,000. Case 2 in 1991 took six months: One man living around Manchester experienced the failure of his business shortly after a difficult divorce, which combined to create insurmountable mortgage debts. Unfortunately, he had a 100-percent mortgage agreement, which means he had no equity at all in his property. Under the growing financial pressure, he finally sold the house, but he was still £11,300 short of paying off his mortgage debt due to the poor housing market conditions at that time. Not knowing how to resolve the last debts, he got legal advice and negotiated a final settlement that was less than the total amount owed. He also learned, quite by accident, that the Limitations Act for England and Wales prevents lenders from chasing down mortgage debts after 12 years if the debtor stops payments and doesn’t acknowledge the debt. Rather than simply playing the stressful game of wondering how much time you have left until eviction day though, why not end the maddening game while you’re ahead by getting special financing to clear your arrears now? TIC Finance. can offer reliable finance solutions for stopping the repossession of your house today. Do You Need Help With Repossession? For expert help and advice on stopping repossession, get in touch with our team now!